Having just come back from Croatia we wanted to let you know how much we enjoyed staying in your house in Lic. We were not quite sure what to expect but found the whole area to be delightful. The surroundings are just stunning to look at and the view having breakfast on the patio had us lingering. We were surprised at the diversity of landscape in Croatia and were pleased we had stayed in the mountain area as it was very hot and the couple of trips we took to the beach were very hot indeed. What a fantastic drive it is across the valley and over the hill to go to the beach including wild ponies - a surprise round every corner. The house was lovely and comfortable and a great base to explore the area from. We are going to come again. We just wanted to let you guys know that we had such a happy holiday and was the icing on the cake after our fabulous wedding. As you know we are keen divers and we spent our 10 days submerged most of the time and my fake wedding tan has been replaced by a gorgeous golden proper one! The boat we were sailing on could not do enough for us, was spotlessly clean and the food scrummy. Our airport pick up was a little late but was sorted really quickly. What a beautiful part of the world. Thank you for all your patience organising this with us and we will be choosing our next holiday as soon as we have saved some more money. We had a wonderful time on the Dahabiya Dream. The boat & staff were all excellent & couldn't do enough for us, Hassan's food was first class, Mamhood was an excellent manager of the boat & Ahmed was a first class guide. The other guests were ideal travelling companions. We did love the trip, the boat was exactly what we hoped for & we learnt an awful lot in the short time there & will definitely recommend you & the boat to our friends. Hopefully things will improve for Egypt before too long. We had a truly wonderful time during our couple of days in Cairo and subsequently on the Dahabiya Dream. Both our guides, Mohammed and Ahmed, were excellent and their knowledge and enthusiasm made our visits to the temples and tombs that much more interesting. The boat was just as I hoped it would be, classic and characterful, a real step back in time. Think Agatha Christie! What made our holiday really special was the hospitality and kindness of the whole crew. I've never before experienced that level of care. everyone went out of their way to ensure our comfort, happiness and safety. We were entertained on a number of evenings with music, dancing, games and magic tricks, but we particularly enjoyed the dinner on the river bank where we were moored one evening. It must have involved a lot of extra effort for the staff. I felt the itinerary was pretty well-paced with enough time for rest and relaxation in between our shore excursions. Sitting on the top deck or on our balcony watching the world go by was blissfully relaxing. I wouldn't hesitate to recommend this trip to anyone who's thinking of going. It's a great time to visit Egypt particularly if you want to avoid the crowds! I just returned home from a cruise on the Dahabiyya Dream from Luxor to Aswan and back to Luxor in October 2016. I can HIGHLY recommend the company "Explore Travel and Cruises" and this cruise on the Dahabiya Dream. Yes, it costs more than the big river cruise ships, but you get so much more out of the experience that it is more than worth the difference. It really is the best way to experience the Nile between Luxor and Aswan. The boat is gorgeous, the staff is excellent, the itinerary is flawless. You will probably only take one cruise on the Nile, so do yourself a favor and book the trip on the Dahabiya Dream. We just had a perfect week on DREAM, we couldn't have wished for more. All felt like a very long Sunday, we were spoiled and in very good and most importantly safe hands of an amazing, smiling and fun crew. Not a single finger had to be lifted, everything was perfectly organised from arrival on board, meals, tours to cold towels and a drink after we returned from each tour. All we had to do was enjoying the view, standing in awe in front of incredible monuments of an ancient culture, swimming in the Nile and tasting Nubian coffee. Before the cruise, Egypt wasn't on the top of my list of travel destinations, but this holiday was one of the best ones I had so far. We are so glad that, despite the reservations of both friends and family, we went ahead with our planned trip on the Dream. Everything was first rate- beautiful boat, excellent food and service and never ending smiles of all the crew. The only sad thing- although good for us- was the lack of tourists. In Abydos we were the only people! The security everywhere was excellent and we can only encourage more people to go to the Nile - especially on the Dream!. We had a fabulous week, and would absolutely recommend the trip. The boat, crew and excursions were amazing, and as Mahmoud promised in his welcome talk, we were very spoiled. It was everything and more than we had hoped for. Wow what can we say we have just come back from a holiday of a lifetime. We loved everything about our trip with nothing to think about except enjoying what we saw and did. I am a huge James Bond fan and so the visit to Halong Bay was fantastic for me. The scenery was just as in the film and even more incredible to see it in real life. Other highlights for us were Hoi An, the great drive from here to Hue where we could see the amazing landscape and the very moving visit to the Chu chi tunnels. Our guides were informative and informal making sure we got the most from our visits. Hotels were great and the people everywhere were warm and welcoming. Can't recommend this trip enough, thank you all so much. We loved the trip and found it fascinating and also having the boat to ourselves, we felt like millionaires. The boat was fabulous and the 12 staff could not do enough for us, they were friendly and helpful, from our surprise dinner and dancing on the first night to the last night with the surprise cake and more dancing. The boat was comfortable and very relaxing and the food was excellent. Mohamed, Ahmed, Malcolm and I ate our meals together and discussed everything from politics, the state of Egypt and to teaching Ahmed cockney rhyming slang. We felt safe at all times. Mohamed could not do enough to assist us in everything and guarded the boat each night as he told us that our safety was paramount to him and so we felt safe. The sights we saw were amazing and this trip will live in our memories forever. Dear Explore Travel and Cruises, we had an excellent experience, that was both culturally awesome and totally relaxing as a result of staff attentive to our every need. Mo was the consummate host Procedures were in place to ensure that the boat, it's passengers and crew were at all times safe and secure. We could not have been made to feel more welcome by either the crew or the local Egyptians we came in contact with. I have great memories of dining on a secluded island, entertained by staff and followed by dancing. 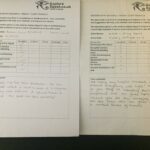 "Wanted to let you know that we had a brilliant trip to Tanzania and thank you for all your staff who made sure we had loads of information before we left and looked after us so well on the trip. The camps were incredible and the wildlife stunning. I have so many photos and the memories will be long. A lifelong wish fulfilled and only added to by everyone's expertise. Please pass our thanks on to everyone involved". "I just want to say a HUGE thank you to everyone for what can only be described as a trip of a lifetime. A great holiday with both amazing history and time to relax and enjoy learning how to make some traditional Vietnamese dishes - not sure I will be able to do this here at home but am certainly going to try! The visit to Ankhor What in Cambodia has to be one of the most fascinating places we have ever been to. Our guides were brilliant , the hotels really good and we are really boring friends and family now as we can't stop talking about it. "We can't recommend this wonderful holiday enough and will definitely be telling all our friends and family. You certainly have a fabulous boat and amazing team running it. We were also very lucky to have some very like-minded travel companions, so just perfect really". "Just a brief note to say thank you to you and all the staff who worked so hard to make our trip to Egypt so memorable. We are so grateful - we really have come back with tremendous memories of our time out there. A special thank you also for spotting that it was Teresa's birthday and making such a fuss of her, she really did enjoy it. We shall have no hesitation in recommending the trip to others". "Having popped into Turkey and seen several highlights on various cruises we were keen to explore more of this amazing country. We asked Linda to arrange a tailor made private tour for a comprehensive trip around Western and Central Turkey. From being met at Ataturk airport by our amazing guide Emre we experienced 6 star service. Briefly our 20 day tour covered Istanbul, Safranbolu, Ankara, Cappadocia, Antalya and the South West, Pamakkule, the old capital of Bursa and back to Istanbul. We covered miles in Emre's capable hands in a lovely limousine, stayed in amazing hotels and saw wonderful historical sites covering the Hittites through to the foundation of the Republic. Such a rich history brought to life by our guide's knowledge and by just being there. Nothing fazed Emre, he was a joy to be with and dealt with everything from a nursemaid of minor ailments, IT expert, unusual shopping requests and coped admirably with my husband who is not so keen on history as I am and is prone to wander off or "suggest" changes to the itinerary. Rick and Emre got on especially well in their mutual love of good food. We tried everything from eating street food, lunch with a local family, local eateries unknown to tourists, to high class cuisine including some of the best lamb we have ever tasted. The only failure Emre had was in not getting Rick up in a hot air balloon over Capadoccia...no way he was leaving the ground in a laundry basket without parachute, engine or wings. This was our fifth trip organised by Linda. Previously we've been to Egypt twice, including a cruise on the amazing Dahabiya, Vietnam and Cambodia and last year South Africa. Each trip has been excellent....now its time to think where we want to go next". "It was an absolutely wonderful holiday, one of the best we've ever had. The whole thing was superb, and as soon as I've caught up with things I shall certainly write a review and send you some photos - we took quite a few, and I'm currently wading through them all doing a lot of pruning and a bit of editing. And it goes without saying that we will warmly recommend the holiday to family and friends. I didn't realise you did holidays all over the world, and after our Nile experience, I am keen to browse your website and see what else you're offering! The information provided was invaluable, and the organisation impeccable, right the way through - Many thanks". "We both had a fabulous holiday in Luxor, probably one of the best holidays I have ever had. We made friends with some lovely people, and the boat, staff and food was lovely". Would have emailed you as soon as we returned but have been very busy! Closing my eyes and visualising the incredible sights of the Nile helped me through the week. The Dahabiya Dream was a truly amazing experience. The boat was so clean and combined majestic tradition with comfort. It looked especially fabulous with when in full sail. Mahmoud was absolutely excellent and so were his entire crew, all attentive but unobtrusive. We absolutely loved their amazing surprise event. Hamada was a great waiter and cheery chef Hassan provided delicious meals of a consistently high standard. All trips were very well organised and prompt, with our comfort as well as safety major priorities. If possible, all activities, including meals were timed around our preferences. Consequently it made things so much more pleasant and relaxed. Our fellow passengers were delightful – clearly like minded folk attracted by the Dream adventure. We were all treated like honoured guests. Thank you for you help prior to the cruise and in organising our anniversary cake, it was a lovely thoughtful gesture. Yet another magical moment of the trip. We have already recommended your company to many and will continue to do so, the professional but individual service is incredible. We would not hesitate to use Explore Travel and Cruises for future holidays. With kind regards to everyone connected with the Explore Travel and Cruises team. Hi Explore Travel and Cruises Team, We had a superb time thank you. We were treated as King and Queen which seems very apt considering the setting and as honoured guests of the “Dream”. From our side had absolutely no complaints and would compliment you and the whole team on a well thoughout and organised trip. The crew and support people right from airport greeting to the entire crew on the “Dream’ couldn’t have been more supportive to us and are a credit to you. Any details or requirements were met and they all always tried to go the extra mile for us. I guess we were also very lucky to meet up with other 3 other similar aged couples with a like mind set and we all got on fabulously well and I think this was part of the enjoyment of how we linked up as a group and as individuals with the crew members to enjoy each others company and experiences on the Nile. Really couldn’t have wished for anything more.. even the festival of Eid which was enjoyed on our last two evenings on the West bank in Luxor gave an added flavour of Egypt and although I am sure you will see comments about mooring up for two days whilst this celebration was going on resulting in loud music until 0230 followed by the call to prayers at 0430.. to us (being very sound sleepers) just added to the whole experience, which some may consider negative given the early starts as well. Mamoud and Sami did an excellent job and I wish to mention them in dispatches as for us the balance of the trip and the excursions were so tuned and so well thought out to maximise the visits to the temples, to avoid crowds and the heat of the day, coupled with some really lovely sailing under wind power. It was also quite entertaining and a joy to see the interaction with the support boat. It was like a “worker bee seeing to the needs of the Queen bee” to service the Dreams requirements. It was a joy to watch it played out during the trip and the skill of the people involved. The bird life was amazing and to get so close under wind power from the Dream was an unexpected bonus. Really wonderful well paced trip and my wife and I truely relaxed and both of us felt a real benefit from a well being and educational experience point of view. Peter and I would like to say a huge THANK YOU to you for arranging such an AWESOME trip on the Nile. It far surpassed our expectations and was a Dream.. come true. We enjoyed every minute except.. there were not enough minutes, the time went too quickly- always a sign of a great time, great experiences, superb sights and scenery. Abu Simbel was our particular, very special, highlight. We were lucky to be with like-minded fellow travellers who were there to explore Egypt for the first time, rest, eat, drink and have fun. The Nile was a serene base upon which to relax and appreciate the countryside which we did with the help of the boat’s crew, chef and manager- who led a lot of the fun. And of course our excellent tour guide Sameh. It has whetted our appetite to see more of Egypt. Our special tailored trip to Istanbul went very well and we wanted to say thank you to everyone for putting this together for us. The hotel was really good with fantastic views over the Bosphorous. The guide was very knowledgeable although we tested her rather a lot having read up on all the places we were going to visit! Our only disappointment was you did not arrange sunshine for us but everywhere was so interesting we did not mind the rain. The markets were fantastic and we visited three times!! A great trip all round. Nearly a week after returning from our cruise on Dahabiya Dream, I am still suffering serious withdrawal symptoms. The Explore experience really began on arrival in Luxor, when we were promptly met by a representative in the airside arrivals hall. He assisted with any visas required and we were swiftly onto our transfer to the boat. Throughout the whole holiday, the vehicles used were air conditioned, comfortable, and immaculate, with very polite and helpful drivers who were always on time. Dahabiya Dream herself is absolutely charming. The rich wood, traditional furnishings and spacious open sided lounge/dining area are beautiful and there is ample seating outside for sunbathing. A stark contrast to passengers we met from one of the larger Nile cruisers, who had a daily battle to secure a sunbed each morning! This is the communal area of the boat and with the small number of passengers on board, it is a great place to relax without feeling overcrowded. Meals on board were excellent – varied and traditional. I had advised special dietary requirements when I booked and I was offered delicious alternatives when appropriate. Almost everything is served hot, but not too spicy for those with a more conservative palate. This was our first visit to Egypt and we did have some concerns over tummy upsets or insect bites, but there was absolutely nothing to worry about. Water in the taps is perfectly fine for showering and cleaning teeth – and bottled spring water was available at all times. We did not find insects to be a huge problem and have previously ended up with more bites from our back garden in Surrey than we had on this cruise! All of the above made this a wonderful holiday. However, it was the team we met on board that really tipped the scales. From the moment we arrived, they looked after our every need – the royal family couldn’t have had a more attentive service! Funny, caring, protective, generous and highly professional, they all made everything happen effortlessly. So what made this holiday outstanding? Of course it was the breathtaking sights and sounds of Egypt. But being on this beautiful boat and making friends with the staff on Dahabiya Dream made it a more personal and emotional experience that I will never forget. I just wanted to say that we have just had the most lovely holiday on Dahabiya Dream. The crew were delightful, the tour guide well informed, and the food was scrummy. The balance between sightseeing and relaxing was just about right. The boat and service was perfect, thank you again. This is just a short note to say how much we enjoyed our holiday on the Dahabiya Dream. We can truthfully say it was the best holiday both Jan and I have ever had. The people looking after us on the boat treated us like kings! They were helpful, courteous and you should be so proud of them. Our Royal suite was truly royal and the balcony outside was luxury personified. The food was delicious and served just when we wanted it. Everything was done for our convenience. We have never encountered such service. Sammy our tour guide was so knowledgeable and Mahmoud our Ship Manager was quite brilliant and so efficient, we loved them all. We will of course recommend the ‘Dream’ to all our friends. I just wanted to let you know how we got on last week…sorry for the delay but we’re just about getting over it now – in the nicest possible way, I hasten to add – it’s taken us a while to adjust to normality after being spoiled rotten by Sami, Mahmoud and your wonderful crew! Day one was a great introduction to the holiday – relaxed cruising, an informative introduction to Egyptian history and culture from Sami – and regular feeding! The sites (and sights) on the way up to Aswan were well chosen and easily manageable – although I personally could have done without the ‘horse and carriage’ ride up to Edfu (I’m allergic to horses – but survived OK!) 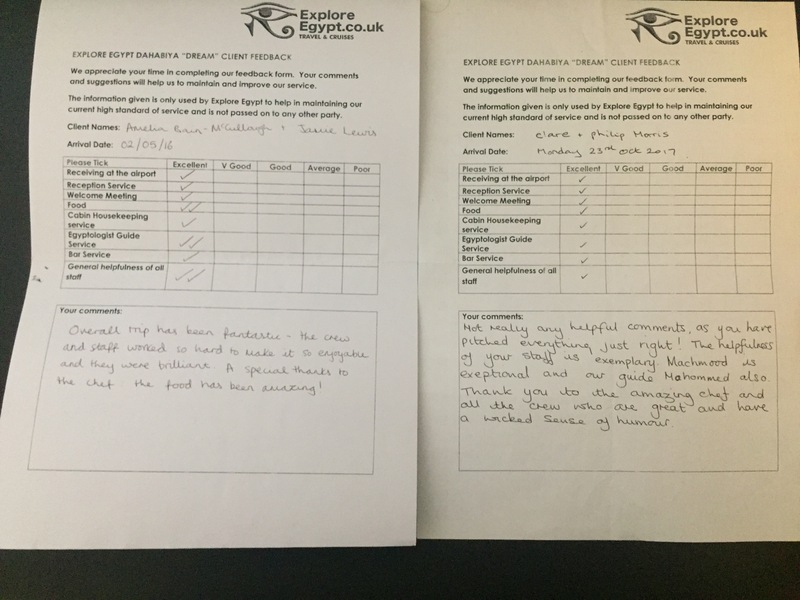 and Sami’s knowledge proved to be a constant amazement – and he imparted it to us so well that by the end of the week we were able to recognise some of the standard ‘offering’ hieroglyphics for ourselves! The memory of the candlelit dinner on the bank will stay with us forever – as will that of our attempts to match their singing and dancing (not a chance! ), Every time we left the boat we were given bottled water and our return was greeted with cold towels and a refreshing drink from the ever attentive Hamada. All in all, a wonderful holiday which I’d recommend whole-heartedly to anyone – from a security point of view, at no time did we never felt threatened – we saw the odd armoured car on the street and there were a few guards with guns at the major sites but the only danger we were in was being sold a Tutankhamun T shirt or a scarab brooch we didn’t want! Thanks again for all your help and may we wish you and the staff of the Dahabiya Dream all the best in the future – I’m not into TripAdvisor but if you want to quote me to prospective customers please feel free. Just sending you an email since we have just got back from Egypt. We are completely bereft after having had the best week ever! The boat was a joy to be on, the scenery amazing and the historical sights took our breath away. Having Sameh as a guide to ourselves was a real privilege. We discovered that Mahmoud has a similar sense of humour to Paul which led to some hilarious conversations. He was a real joy to spend time with and he gives so much to making the experience a wonderful one – I have never been called “my queen” before!. Unquestionably the best holiday we’ve ever had! Realization surpassed expectation and the whole trip was brilliantly organised from start to finish. we had the friendliest, kindest and most helpful crew imaginable on the Dahabiya Dream and there cannot be a better way to see the Nile, tombs and Temples. Egypt does not deserve to be ignored as this was indeed a “dream” holiday. A voyage of pure enchantment. I just wanted to email you to say thank you all for one of the most memorable trips / holidays we have ever taken. The guys were outstanding in every way. We’ve just a perfect Nile Cruise on the Dahabiya Dream. We moored at quiet, private, remote spots, only suitable for small boats. We visited tombs and temples galore. We enjoyed excellent Egyptian cuisine, rested, read and sunbathed on deck and were looked after by an excellent crew. We watched black and white king fishers hovering and diving beneath the soft twilight sun. We enjoyed the company of our 10 fellow guests and a wonderful crew who treated us to some lovely surprises. The peace and harmony of our surroundings created and the best holiday possible. Hi Guys Got back yesterday. We had a fantastic time, we really enjoyed it, everything was perfect and would want not want anything done differently. Please pass our thanks onto all the staff. This was our second trip on the Dahabiya Dream, and it was just as wonderful as last year. It is the perfect combination of relaxation, adventure, mental stimulation and good fun! We were fortunate enough to be on a ten- day cruise designed especially for people who had already done the shorter six-day cruise. This meant that we got to sail north to see the fabulous temples of Denderra and Abydos before going back south to Luxor to see Habu Temple, and the exquisite small tombs in the Valley of the Workers and the Valley of the Nobles. We also visited the beautiful modern museum at Luxor and had time for a calesh ride around the town and a drink in a cafe. The cruise south along the enchanting Nile to Aswan was fascinating and very relaxing as before, and we stopped off at new islands and temples that are rarely visited by tourists. This culminated in a memorable camel ride through the desert to the ruined Monastery of St Simeon and then on to the incredible tombs of the nobles dating back to the old kingdom over four and a half thousand years ago, which still have their original vibrant colours. As last year, Mahmoud, the boat manager, was a very attentive and super-efficient host who made sure everything ran smoothly. He was also great company as was our guide, Sameh, who is so knowledgeable about Egyptian history and very interesting to talk to. All of the crew were extremely friendly and great fun, and they couldn’t do enough for us. We felt we were good friends with everyone by the end of the trip. 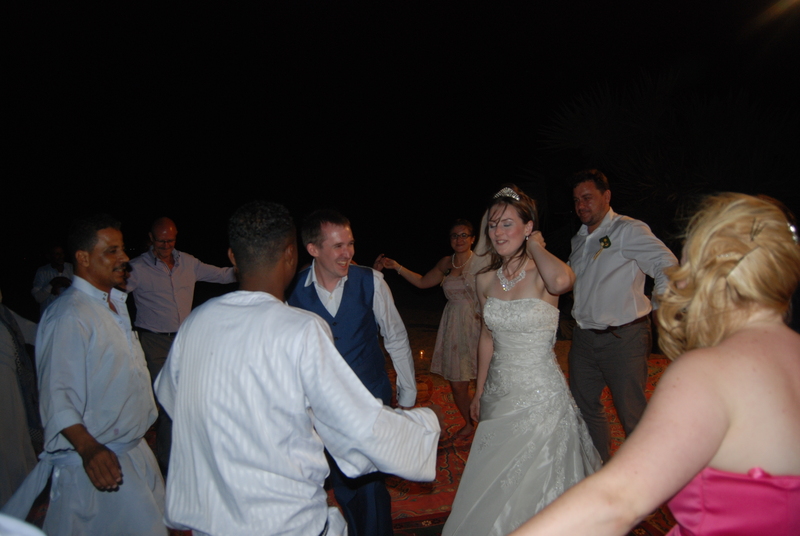 We loved the singing and dancing in the evenings and joined in as much as we could! The food was always delicious as well as being authentic and very interesting. We were so inspired that we asked the chef for some of his recipes and had a trip to the souk to buy some of the ingredients to bring home. Coming home to cold, wet England and having no one to wait on us hand-and-foot was quite a shock – but we survived and look forward to another cruise on the Dream sometime soon. We have just returned from a great trip to Vietnam and Cambodia and wanted to pass on our thanks to everyone as we enjoyed it enormously. The service was good and the hotels excellent. The guides were well informed and nothing was too much trouble. The airport in Cambodia was a bit to be desired but we understand that it will take time to develop places like this to better standards. We loved the sites and the history, charm and variety of temples and ancient sites and our photo collection testifies to this. Thank you for tailor making this trip to all we wanted to see and recommend it to anyone. Dear Explore Travel and Cruises The trip was fantastic. We were quite amused when we were met off the ship by driver and car…our ship docked right next to the hotel. But it did mean we arrived in style at the front door rather than creeping in the back! The Table Bay Hotel was very good, a lovely room overlooking Table Mountain and in a fantastic location on the Waterfront. The driving was so easy, no problems at all. Though I think Rick does still prefer a have a driver so he can settle back and enjoy the scenery, and the odd glass of wine. However on this trip the self drive was the only sensible option. All the accommodation was excellent, can’t really fault anything. We particulary enjoyed Knysna. The safari was wonderful. I applaud anyone who can get Rick to stay in a tent, and enjoy it. OK it did have a roof, floor, balcony, big bed and a bathroom, but the sides were canvas and we had the odd creepy crawly so that counts as a tent. He has totally lost his street cred now. We were really pleased we were at Lalilbela rather than a big reserve like Kruger. It was like having our own reserve, we saw no more than two other jeeps and had our personal driver for all the game drives. It was amazing how close we could get to the animals. The only downer we had was our camera ceased to function early on in the holiday so I had to rely on the ipad, not the best option when you need a bit of zoom. The food was amazing, seafood, steaks, kudu, springbok, warthog to name just some; all of course washed down by amazing wines. And everything was so cheap. We really didn’t want to leave, in fact when we landed in snow in Istanbul and rain in Crete we wondered why we had left. Our itinerary was a few days in Cairo (Pyramids, Sphinx, Egyptian Museum…), Luxor to Aswan on the dahabiya “Dream”,Abu Simbel and back to Cairo. We found it safe, amazingly interesting and very hospitable. We organised our holiday through Explore Travel and Cruises whom we have previously used to see St Petersburg in winter. The temples from Luxor all the way up river to Aswan were an incredible sight. The scale and detail have to be seen and walked through to be believed. Our two favourites among many were Karnak and Horus at Edfu. Again, our guide Sameh, was very good and put up with any number of questions. The Dream gave service and attention from every one of the crew. We were looked after like royalty and in the friendliest fashion We enjoyed excellent food, sailed in peace and tranquillity, danced under the stars, it was all just perfect. Abu Simbel required a very early start but was definitely worth it. Whilst the temples themselves are amazing, the fact that they have been rebuilt on this site is even more so. This was a trip of a lifetime that we would recommend to all. How can I describe our recent trip to Dubai c/o ”Explore Travel and Cruises” except for saying the whole experience ‘took us to another level of travel’. We are frequent travellers but i must say that this holiday experience has been a pleasure from the time of booking until after our return home, having received first class help and advise throughout. We stayed at the Atlantis in Dubai and cannot find fault with anything – the flights were a pleasure, on time, comfortable and complete with fabulous in-flight meals, drinks and entertainment. The restaurants were great, so much choice and nothing was too much trouble for any of the staff – we had to come home before becoming clinically obese!!!!! If you are looking for that special experience then look no further. Our recent Nile cruise aboard the Dahabiya Dream is an experience that my family and friends will never forget. If you appreciate high quality accommodation and service with the personal touch, then you will not be disappointed. The ‘antique’ appointment of the boat from the intricately carved chairs and side tables on the top deck to the charm of the cabins on the lower deck (ours even had a ‘balcony’ overlooking the rear of the boat), that are prepared everyday by Ahmed one of the most talented towel artists you are likely to meet (peacock, crocodile, sail boat etc.) had us all imagining we were in a scene from ‘Death on the Nile’ (but without the death – thankfully!). Furthermore, the ‘intimacy’ of the dahabiya (there was just our party aboard) enabled Mohammed, Mahmoud and the crew to tailor our holiday precisely to our wishes – what time to have breakfast, morning drinks, lunch, afternoon tea and dinner (all of which were expertly cooked with an Egyptian flair by chef Hassan and served with a flourish by our waiter and barman Hamada – his ‘Magic’ cocktails are a speciality) right down to the unforgettable camel and donkey ride and the special delivery to the boat of a McArabia sandwich for my youngest daughter Anna. Mohammed even managed to get some special gold and silver cartouche pendant gifts for Emma and Chris crafted for us in Luxor, at very short notice! In addition to the fantastic cruise from Luxor to Aswan (if you haven’t seen a sunset from a dahabiya on the Nile, then put it on your bucket list now!) all of the other travel elements slotted into place, as if by magic. This included air-conditioned mini buses to take us to tombs and temples such as the ones in Luxor and the Valley of the Kings, a pony and carriage ride as well as a small motor launch to Philae Temple, a felucca ride to Kitchener’s house and the botanical gardens at Aswan, the trips to a range of local craftspeople and shops (papyrus, alabaster, perfume, spices) – everything was taken care of in the most expert and unassuming way. I guess that most people have seen pictures of the temples and tombs, such as the magnificent Karnak and Abu Simbel temples, but nothing prepares you for the spectacle of the real thing. However, what made these experiences even more memorable was having an expert Egyptologist guide (Mohammed) to take us to the temples and guide us round key parts of them. I have never known my wife Sue ask so many questions and receive so many politely delivered informative answers! Apart from the wonderful company of our family and friends on the holiday who all contributed to making it so special, of all the highlights then Emma and Chris’ wedding was probably the biggest. Over the previous couple of years they hadn’t been able to decide on a wedding venue, but in the end they could not have made a better choice. The day will live in my memory forever, along with a tear in my eye whenever I think about it. If you are looking for something extra special for your wedding then this could be the answer. The fantastic setting on board for the ceremony; a beautiful daughter that I walked down the aisle; the reverence with which boat manager Mahmoud officiated; the moving readings by Christine (Chris’ mum) and Sue (Emma’s mum); the wedding breakfast eagerly consumed by Will, Leigh and Alex (relatives and friends); the party after the breakfast on an island on the Nile, complete with Egyptian band, belly dancer (although Basaam the mechanic was the best belly dancer of all!) expert Egyptian dancers from the crew and not forgetting the photographer who took over 1000 pictures during the day, all of which he delivered to us on CDROM. Finally, we were a little worried about the holiday in the light of the recent unrest in Egypt and the FCO advice not to travel, but I am so glad we decided to go ahead. The Egyptian people welcomed us with smiles wherever we went (along with laughs at the donkey and camels) and none of our party (ranging in ages from 21 to 83) felt in the least threatened or worried for their safety. We did get ‘pestered’ by street sellers, but I for one got quite used to bargaining with them and they did eventually take no for an answer! Take a cruise on the Dahabiya Dream, make wonderful friends, live a life of luxury, even get married – you won’t regret it. We had wanted to go to Egypt for a long time and see the temples and tombs along the Nile but whenever we came to book a holiday there was always something stopping us. So when the opportunity arose to book with Explore Travel and Cruises and go on our dream holiday, sailing on a Dahabiya, we took the plunge. We did feel a little apprehensive when all the troubles arose in late spring/early summer but we cannot fault Linda and Explore for keeping us up-to-date with developments not only by email but by regular ‘phone calls. We vowed that we would still travel as long as our travel insurance would cover us as we knew that Linda and the team at Explore wouldn’t risk taking any customers if the situation was truly dangerous. We had absolutely nothing to worry about and honestly felt extremely safe the whole time we were in Egypt. We were met almost as soon as we stepped off the plane in Luxor, taken to reclaim our luggage and then off in the minibus to the boat. From that moment we were never without someone from the team and although there was evidence of a military presence in Luxor and Aswan, it was only around the government buildings and police stations. It was not a threatening presence and throughout our time in Egypt we did not feel at risk or in any kind of danger. The Egyptians are lovely people and were so pleased to see us, welcoming us everywhere and thanking us for visiting their country. Aboard the boat we were looked after like royalty with our every need met. Dream is beautiful, so elegantly and tastefully decorated, you feel as if you have been transported back in time to the days of Howard Carter and other explorers but with modern comforts such as air-conditioning. Small touches meant a lot, like being met back at the boat with a cold flannel and a lovely fruit cocktail after every excursion, Ahmed’s towel sculptures in our rooms, and the exceptional entertainment provided by the crew on a couple of evenings. It was all really special and we were made to feel very special too. The food is exceptionally good and we ate very well indeed. Breakfast was a sumptuous buffet including fresh fruit, pancakes, pastries, toast, cheese and eggs. Lunch was a mix of salads and delicious vegetable tagines usually with some meat or fish dish and followed by fresh fruits such as mango, dates and guava. The evening meal was always served beautifully with a starter followed by a main course of meat or fish and a sweet. It was incredible to believe that all this food was coming out of such a small kitchen and just two chefs. Sameh our Egyptologist guide was a mine of information and enthusiastically shared his knowledge with us. The site visits ran like clockwork and we were lucky to see several places, including Edfu, on our own as there were so few tourists around. We knew that we would be blown away by everything but it’s hard to describe what it is truly like to see some of these monuments for the first time. We feel we need to return and experience it all again in order to take everything in properly rather than just being completely lost for words. Having someone to tell you about all the gods, history and customs was essential and Sameh happily answered all our questions. You could tell how proud he is of his country and of its incredible history. We have no reservations in recommending anyone to take the opportunity to travel to Egypt at this time, it is a unique time to go with so few tourists – so do please go as you honestly won’t regret it, and the Egyptians really need our support. Linda, the team at Explore Travel and Cruises and the amazing crew on the boat, including Mahmoud our tour manager and Sameh our Egyptologist guide, did everything to make our holiday truly one of the best we have ever had. Our own ‘dream’ come true! We have just returned home from a luxurious trip on the Dahabiya Dream to celebrate our friends wedding. The whole trip was absolutely fantastic from start to finish. When our bags did not arrive at Luxor airport due to the short turnaround time at Cairo airport the guide sorted out the location and delivery of the bags on the next plane with the airport staff. No hassle for us! We then started the tours of the amazing sites. The sites where very quiet and we got some brilliant photos. We arrived a day after our friends and our guide went out of his way to make sure we did not miss all the sites our friends had seen the previous day so he arranged for us to see Luxor temple in the early evening under floodlights which looked amazing. The guide was extremely knowledgeable and gave us lots of information on all the temples and areas that we visited. When we arrived at the boat we were greeted by the boat crew and made to feel immediately at home. All the crew had a very caring nature, particularly when it came to helping Gran around, on and off the boat was at times quite difficult for her but there was always someone there to help. Throughout the rest of the week nothing was too much for the crew on the boat they organised camel rides, a trip to the spice market and more things on top of the planned itinerary. The boat was beautiful. It was well fitted out with appropriate furnishings. The top deck had sun loungers and comfy chairs along with the dining table and chairs. The boat was kept incredibly clean and tidy. The cabins were well furnished with good air conditioning, which was crucial as it did get very hot, and en-suite bathrooms. We all enjoyed the towel sculptures created everyday! We had a couple of days chilling out on the boat as we sailed down the Nile. We enjoyed spending time on the top deck relaxing, reading, playing cards and enjoying the beautiful scenery as we passed. We also spent a couple of busy days visiting all the temples and enjoying other trips out including a Felucca ride, a trip to the Botanical gardens, a perfume palace and more! The food on the boat was scrumptious! (I tried to swap the chef for my husband when leaving but they were having none of it!) There was lots of typical Egyptian food with many tagines, salads, meats and rice. We had breakfast at varying times depending on the plan for the day, lunch (usually later on in the afternoon) and when we were on the boat afternoon tea and then dinner around 8.30 pm. The wedding was on the Thursday of the trip and all the crew made every effort to make it the most fantastic wedding! We moored up at a small island ready for the wedding. The team had decorated the boat, organised hair and make up for the bride, a cake, photographer, belly dancer and band. The ceremony was led beautifully by the boat manager followed by a lovely wedding breakfast on board the boat. After this the crew set up a party area off the boat with the band and belly dancing. We spent hours enjoying ourselves on a secluded island under the stars. The wedding was finished off with some fireworks. On Saturday evening we had candle lit dinner on a second island under the stars as a final surprise with more dancing and singing with the crew. The only grumble was with the hassle from the sellers at the entrance to the temples and sites, even occasionally when we were on the boat small boats would draw up alongside to try and sell us their wares. Overall, this was an utterly fantastic trip of a lifetime. It was peaceful, relaxing, and interesting with the most beautiful wedding. Thank you so much for organising not just the most memorable holiday we have ever had, but also our wedding day!! Emma and I had been engaged for over four years when we decided to contact Explore Travel and Cruises about the prospect of holding our wedding in Egypt aboard the Dahabiya Dream. Imagine how picky we must be for the search for our perfect wedding venue to have taken four years. Let me tell you; we must have looked at hundreds of potential wedding venues only to be disappointed by the location, food, atmosphere, service or price. When we first found this website and watched the video it really captured our imagination. What a relief it was when we made contact with Linda and she confirmed that it was not only possible but that we could afford a week long holiday with our wedding as the centre piece – What great value for money! At this point and as excited as we were we really only had the slightest inkling how fantastic it would turn out to be. From the very beginning you looked after us, meeting up with us to collate all our ideas and helping us form them into a real vision for our wedding day. You took all the hassle of organising our wedding away, allowing us to make all the important decisions (Emma’s dress, our rings, the type of cake etc) without any worry. With our wedding scheduled for the 24th October 2013, we obviously became very concerned following the revolution in Egypt. Even after the major media coverage (focusing almost exclusively on the troubles in Cairo) had died down, the UK government (FCO) continued to give advice against travel to most of Egypt. Deciding if we should go, was one of the hardest decisions we have ever had to make. Throughout the month leading up to our travel Explore Travel and Cruises offered great advice and remained exceptionally supportive, offering us the opportunity to rearrange the date or location at no additional cost and even sourcing travel insurance cover for Egypt – How silly our concerns seem now that we have been and seen just how serene the Luxor to Aswan stretch of the Nile is; not even the smallest hint of trouble. The entire time I was there I felt safer on the upper deck of the Dream at night than I do at home here in the UK. I haven’t slept so well in years before or since. When we arrived in Luxor we were greeted by Ishmael who pleasantly and professionally guided us through security and then showed us where to collect our baggage and assisted us in loading it onto trolleys. Once we were all ready we were taken to an air conditioned mini bus where our luggage was loaded onto the bus and we set off for the hotel. We had the entire hotel almost to ourselves, so all the staff were very attentive. The next day the tours began; Karnack & Luxor temple really came to life with Mohammed expertly guiding us first through the history of ancient Egypt then the temples themselves, we even had lunch in a fantastic authentic Egyptian restaurant. The following day we attended many sights in and around the Valley of the Kings, once again we benefited from the astounding depth of Mohammed’s knowledge on ancient Egypt. After two days of touring temples we were very excited to finally see the Dream; we were not disappointed. From the moment we stepped aboard the welcome and service was first class, we were all pretty hungry and elected to eat before touring the boat and seeing our rooms – This flexibility is a really nice touch. I want to give special mention to the food, the on board chef is really talented. Every day he would cook up three Egyptian meals (not including the afternoon tea), each would be top quality and different enough from the last as to provide good variety and with so much choice that there was always something for everyone to enjoy. When fish was served (my sister really does not like fish) the chef was only too happy to create a different dish for her to enjoy – A shame because the fish was truly excellent. The entire week was tailored perfectly, after a couple of days of really enjoyable but pretty intensive temple touring there would be a free day when we all really enjoyed relaxing on the upper sun deck, watching the scenery go by. Seeing the sunset over the Nile will stay with me forever. Over the first few days there was plenty of opportunity to review the wedding plans with the crew; later in the week when our big day finally arrived it was completely hassle free. The entire day was a relaxed affair, exactly as we wanted it; perfect cake, brilliant people and an awesome set of photos – Of course the crew managed to sneak in plenty of thoughtful surprises throughout – THANKS! Throughout the entire trip, nothing was too much trouble. We only needed to express an interest in doing something for it to be arranged – Camel riding comes to mind, special thanks to Beccy (my sister) for refusing a camel and taking on a donkey. 8 Camels and a donkey – Hilarious! There was even discussion of whether breakfast should be prepared for 5am on the day we left, we opted for a breakfast box instead but it’s the thought that counts. There were far too many little touches to adequately describe how good this holiday was. Many thanks to all the staff at Explore, Travel & Cruises who helped make our wedding day so perfect, Special thanks to Mahmoud for conducting our ceremony. I just wanted to pass our thanks on to the team for all their hard work in arranging our holiday in Turkey. We loved the hotels and the golf courses. It was all very easy for us flying to Antalya and being picked up from the airport and taken to our hotel. It was a great location for us to both play golf (as you know that is our passion) and also to visit the local area. Well organised and very relaxing for us and will definitely be doing it again. Thanks to all. A great holiday, great place to visit and we just wanted to say thanks for arranging it all. The tour of Zagreb was particularly interesting and gave a good contrast to the coastal areas we visited. Despite some rather unpredictable weather, the scenery was so stunning it did not matter. Rijeka was a cool place to chill and some of the music bars are undiscovered treasures. The hotels we stayed were great, the Hotel Jadran in Rijeka was amazing as you felt you were completely staying on the sea. The people are very friendly and the food and wine again is brilliant. We are recommending your company to all our friends and thank you for making our holiday so special. We have recently returned from our third holiday booked through Explore Travel and Cruises. Our two previous holidays were in Egypt including a trip on their fabulous Dahabiya Dream. When we found that Explore Travel and Cruises offer trips to to Vietnam we didn’t hesitate using them to organize our tour there. As always the team made the booking arrangements perfectly and our private bespoke tour covered exactly our requirements including our visas and business class flights from Athens (we live in Greece). We were met by our tour manager and guide Dzung, what a lovely man. Nothing was too much trouble for him and on the parts of the tour he was not personally accompanying us he was always in touch. The accommodation in Vietnam was very good and I just loved the cruises and boat trips. Rick really enjoyed the food, especially getting stuck in with the locals with the street food. How he can enjoy pigs feet, ears and tails I have no idea!! Our tour included Saigon, a cruise on the Mekong Delta then a speedboat ride into Cambodia. There we toured the disturbing Khmer Rouge legacy sites around Phnom Penn and then drove to Siem Reap and the wonderful temple complex around Angkor Wat. We flew up to Hanoi where we were reunited with Dzung who met as old friends. After a couple of days in Hanoi it was a cruise around the amazing Halong Bay. Fortunately, knowing my love of cruises the team had arranged a two night cruise. Another flight to Hue saw us exploring the Imperial capital before travelling down to Da Nang and Hoi An. From there we visited the Champ site of My Son and of course the old town of Hoi An. A few days relaxation in an excellent hotel by the beach near Hoi An set us up for the journey home. Again Dzung was there at Saigon airport to meet us from our internal flight and see us safely to international departures. I would not hesitate in recommending this company and we will be using them again for a trip to Turkey later this year. What a wonderful two weeks! Our first visit to Egypt commenced with six enchanting days sailing the Nile on the dahabiya ‘Dream’ followed by stays at ‘The Old Cataract’ in Aswan and the ‘Hilton’ at Luxor, all in mid-30 degree temperatures, considerably warmer than we had expected, before having to return to a snow covered, minus 3 degree Britain. On boarding ‘Dream’ we were introduced to Mahmoud the boat manager and his wonderful crew, Sameh our excellent guide, the boat’s very capable chef who provided us with superb fresh food three times every day, and the other passengers, two lovely couples with whom we got on really well. We cannot help but repeat the words of other ‘Dream’ clients, we enjoyed a wonderful experience with a very friendly and capable crew all of whom remained so cheerful and helpful despite having only six passengers on a twelve person boat. They were all so charming and fun, especially one evening when they organised a lovely candle lit meal served on the river bank followed by singing and dancing initially by the staff until they persuaded their six passengers to join in. We have no hesitation in recommending this family owned and operated boat, and Linda who helped us put this trip together, to our friends and to anyone considering a Nile cruise. It was so much more intimate and friendly than any of those awful great floating tower blocks moored up along the river’s banks. I had to write you a note to say thank you for everything and tell you how much we enjoyed our trip on Dream. Simon and I travel a great deal and have had some amazing holidays but this was absolutely up there with the best of them. Having read reviews on Trip Advisor and done some research I had a slight concern that my expectations were going to be too high but actually they were exceeded in every respect. From the moment we stepped into the airport until the moment we left I felt totally welcome and cared for. Apart from the obvious amazing sites, the beautiful boat and incredibly good food what really made it were the people. The entire crew were not only helpful, friendly, thoughtful and welcoming but also both fun and interesting to be with. Mahmoud’s organisation, attention to detail and care for us was amazing. We also really enjoyed talking to him and learning about life and culture in Egypt. Sameh was a great guide. He was not only very knowledgeable but took excellent care of us ensuring we enjoyed every trip. Hamada looked after us and made us laugh. I cannot name everyone here but every single person contributed to our enjoyment, particularly the evenings we spent singing and dancing with them!!!! I cannot adequately describe how much I enjoyed this holiday and would be grateful if you could pass on our thanks to Mahmoud and his crew for giving us such a wonderful experience. Thank you also for all your help and support with arrangements and preparations. Hilary and I would like to thank you for organizing such a wonderful week in Egypt. The advertising promised much but reality provided so much more. The eleven passengers all got on very well, Sameh our guide was excellent and extremely knowledgeable while Mahmoud and the crew were intent on ensuring that we had a superb week. The result was like spending a thoroughly enjoyable week in the company of twenty four very good friends. Mahmoud’s little surprises and the variations in towel sculptures were very nice touches. Every one of your staff is a credit to you. The Dream is a beautiful, very comfortable boat and completely in place on the Nile unlike the multi tiered metal cruise ships. These seemed very impersonal and unable to give the passengers the freedom to see the sights from the Nile as they moved from place to place. The organization of the many trips was timed perfectly with mini buses, boats and carriages all waiting ready for us. We will certainly recommend the trip to our friends and I have a client who is a travel writer and will gladly let her know my feelings if you so wish. Thank you seems an insufficient response for what was an excellent holiday. I just wanted to let you know that my mother and I are safely back home now, after an amazing trip to Egypt. The whole Explore Egypt team was wonderful and we felt truly looked after from the moment we landed till the moment we departed. Everyone from the agents who met us at the airports, to the drivers, the tour guides and the Dahabiya Dream crew were professional, friendly and went the extra mile to ensure we had a fantastic trip. I want to thank you and the rest of the team for the care that went into the preparations for our trip and the constant efforts on the ground to make it special. It was truly memorable, not only because of the fabulous location but the fabulous people with whom we came into contact. A truly wonderful experience. Well done! We were on the Dahabiya Dream in January 2013 and the team and all the crew were very friendly and helpful and nothing was ever too much trouble. Their aim was to provide you with a wonderful experience. Added to this, the food was delicious, plentiful and varied. Mahmoud, the boat manager, ensured that everything ran smoothly. He created an easy and relaxed atmosphere on board which contributed to the feeling of being part of a small exclusive house party. We started our holiday inCairo where we were met by Sameh who was our guide both here and whilst we were on the Dream. Sameh was an excellent guide and his lovely personality made him a pleasure to be around. We cannot recommend this holiday highly enough. If you are looking for a Nile Cruise with a difference, then this is it. The Dahabiya Dream is a beautiful small boat with an exceptionally friendly and helpful crew and superb food. We also thoroughly enjoyed the additions at the beginning and end of our cruise and found Explore Travel and Cruises an excellent company to deal with. We have been on a number of memorable holidays but this is definitely up there amongst the top ones. We have just returned from the trip of a lifetime!!!!!! Through many many years of travel I don’t think I have ever had such and friendly and totally professionally run holiday. You gave me the opportunity as a professional in travel to take a trip on the Dahabiya Dream – wow ! From the moment we stepped off the aircraft to our departure at Luxor, we didn’t have to think at all. Every detail was taken care of, everything was done in a seamless and extremely friendly way. Mahmoud as the boat manager was a gem, nothing for him or his crew was the slightest problem and all done in a such smiley and kind way. The chef excelled himself with delicious meals at lunch and dinner and the wonderful surprise of alfresco dinner, where we all danced – very badly – to the amusement of the whole crew, great fun. Gouda, what can I say, he is a huge font of knowledge for everything Egyptian. He was so enthusiastic, very funny when it was called for, and hit just the right balance between enjoyment and exhaustion ! It was a bonus having him travelling with us, he was always prepared to chat about the day’s excursion and tell us all about the wildlife and bird life along the banks of the Nile. His logistical talents were very impressive, we were never left waiting for anything or anyone, the calash/faluca/boat or minivan was always awaiting our arrival. In fact you could have left your brain at home as there was no need to use it as everything was done for us.! I cannot speak too highly of Explore Travel and Cruises, you have a wonderful product, I do hope that clients will start to realise Egypt is fabulous value for money, beautiful kind people, and the best winter destination. I will certainly steer my clients towards the destinations you cover with complete confidence that they will have the time of their lives. I know I have already said that my holiday was fantastic. This is to formally say “Thank you” for a great holiday. From start to finish it has been wonderful. Your kindness and professional approach to ensure I had the best of everything to make this holiday “perfect”. Your staff are polite and go out of their way to give a first class service. I was really anxious about getting on off several boats I need not of worried as there was always a helping hand and a lot of encouragement with all the trips. The guides were fantastic full of knowledge the trips were amazing. The food at every meal was delicious and the juices coffee when ever you wanted it. Provision of water every day what a service I really felt like a princess. I have slept properly for the first time in two years since my husband passed away, amazing really. Linda there are no words to express the effect of this holiday. I feel wonderful thank you soooooooooooooooo much and please thank your team. This was our first visit to S.E. Asia and we were not disappointed. Arriving in Hanoi and trying to navigate our way across busy roads crowded with motorcycles was more than exciting! This popular form of transport was often seen laden with whole families, caged pigs, chickens or building supplies. With no discernible traffic system, we learnt to follow other brave pedestrians – cross the busy road with determination and blind faith in the ability of oncoming traffic to avoid you. It seemed to work. There was much to see and several happy hours investigating the markets and in particular, the shops on Hang Gai Street (Silk Street). Two days on the wonderful Indochine junk, sailing and kayaking on Halong Bay and visiting the floating fishing villages went by too quickly. A day in Ho Chi Minh City and a visit to the thought provoking War Museum was followed by a stay on a Bassac boat and the opportunity to travel along the Mekong Delta. In the jungle, we saw – and tasted – some of the exotic fruit grown in this fertile area. Following a visit to the floating markets, we left Vietnam by speed boat and crossed the border into Cambodia. Our time in Phnom Penh was really thought provoking – the reality of the years spent under the rule of the Khmer Rouge was explained movingly by our guide who had personal experience of that terrible time. We then travelled north to Siem Reap to visit the incredible temples of Angkor Wat, Angkor Thom and Ta Prohm. They took our breath away. Linda and her team ensured our trip was a stress free and fabulous experience not to be forgotten. We wanted to let you know that we have just arrived back from the most fantastic holiday. The holiday surpassed all our expectations and was an absolute delight. All of the staff were kind, friendly and helpful, always going that extra mile to meet our needs. The boat was fantastic and the scenery breathtaking. The images and kindness of the staff will stay with us for the rest of our lives. Thank you so much for providing us with the perfect holiday. We will certainly be recommending you to friends and family. What a brilliant holiday, it’s got to be one of the best! The boat was superb, the crew faultless and the guide without equal! The trip to Cairo went without a hitch and even the excursion through the Cairo traffic an education in itself. The Dahabiya Dream exceeded our expectations in all aspects – the comfort, the attentiveness of the crew, the food and the scenery. Our guide, Gouda, was brilliant, knowledgeable, patient and with an excellent sense of humour. All the visits were well organised and exciting with well prepared itineraries and a good balance of guide/freedom. We thank you for your efforts on our part and for the added extras! We have just returned from the best holiday we’ve ever had, thanks to Linda and the “Dream Team”. This trip provided us with a chance to see many parts of Egypt; the Suez Canal, Ismailia, Fayoum and the temples of upper and lower Egypt. Our trip also included a visit to the camel market and swimming in the Nile! The highlight was a week sailing on the Dahabiya “Dream”. The staff were remarkable led by Mahmoud, and guided by our excellent Egyptologist Gouda. It was truly an experience which incorporated culture, adventure and divine luxury!! We would recommend this trip and Explore Travel and Cruises to anyone! Thanks for the wonderful trip, we will see you again! In planning a trip to Egypt with Explore Egypt Travel & Cruises for over the past year, I found that everyone I encountered and spent time with via email or in person, were a wonder to work with. make the “dream” come true for my daughter and myself. And then there was the actual doing of the trip and our week on the “Dream”….the dahabiya cruise that takes your breath away figuratively and literally. From the moment we arrived in Luxor to join the Dream, we were enchanted. The staff and crew of both the Dream and our little tug, went out of their way to welcome us and make our dream trip to Egypt a true reality. Nothing was too much trouble and every whim was taken into account and made a reality for the passengers. A Thank you to Mahmoud for making birthday wishes come true with imagination and care for my daughter. The day to day living on the Dream was done with apparent effortlessness….the food was excellent (Thank you Chef), the care taken of the cabin and the “nightly” surprises from Ahmed with his magical sculptures were a delight. All the passengers could hardly wait to see what he had designed and left for us to find in our cabins…. The calm and beguiling travel down the Nile at a pace few ever experience should be the eighth wonder of the world. To have the opportunity to see life as it unfolds, and has for thousands of years, with little change is beyond description. To be able to stop, where other larger, machine driven boats cannot, is an experience not to be forgotten (Thank you Captain). To step off the Dream, and be transported to temples, ruins and other Egyptian wonders with Goda in the lead was exhilarating. I will never forget this trip, the Dream and all the wonderful, warm individuals that made my dream a reality. Thank you all for a once in a lifetime trip…. We have just come back from our Turkey holiday and wanted to say how thrilled we were with everything. The trip went so smoothly, the boat was so much fun and comfortable. The crew made us feel at home and nothing was too much trouble. i have to say I am so pleased that we came with you and your team because we knew exactly what had been included and what was not as there were people with us who paid less for the trip but found they were paying for everything as extra and they were not prepared for that. Our extra days in Istanbul were brilliant and we loved doing the city tour and experiencing the excitement and buzz of the market, we loved it all. Thank you for taking the time to make sure our holiday was just what we wanted. Our spring break in Istanbul was brilliantly organised by Linda and her team. The hotel in the centre of the old town meant we were within easy walking distance from the Ottoman and Byzantine historical sites and our English speaking guide was able to explain the significance of everything we saw. The Grand Bazaar and Egyptian Bazaar were full of small shops offering leather, decorative plates, spices, sweet pastries and a huge variety of Turkish delight studded with different nuts. The whole experience was just what we were looking for. I was slightly apprehensive about taking an 81 year old who’s also had two hip replacements on such a holiday but need not have worried. From the moment we landed at Luxor Airport where we were greeted by the company’s representatives and throughout our trip, we could not have received more lavish attention and assistance. Nothing was too much trouble – we were treated like royalty by the crew and have only just come down to earth having been back a week! Everything was great – the food was fresh and traditional, every time we stepped off the boat we were handed water and then greeted by freshly made fruit cocktails on our return. We feel that we have not just had a holiday but the experience of a lifetime which was also incredibly romantic and included swimming in the Nile and a fabulous party with traditional music and dancing so far removed from the usual tourist experience. We cannot wait to return to Egypt to sail on Dream again and are already planning our next trip. We still cannot believe it was possible to have had such a magical experience on Dream and the holiday exceeded all our expectations in every respect. We were impressed by the standard of care and attention given to every detail with Mahmoud and Gouda continually making sure that our trip went smoothly and nothing was too much trouble. The crew worked well as a team; were polite and friendly and delighted us with a memorable beach party! The chef provided delicious fresh traditional dishes and took pride in serving them. The Temples and Tombs were breathtaking and we were spellbound by the scenery and wildlife along the way. It was so peaceful to sail on Dream and not be on one of the big boats which have no soul. We had so much fun that I had a tear in my eye as we left and we certainly plan to return soon. We hope the future bodes well for you and we are certainly recommending Dream to everyone we meet! Many thanks. Thank you so much for a wonderful holiday. The whole trip was perfect and the boat was amazing. Everyone was so lovely to Lucy. Bit of a culture shock for her at times but she really enjoyed herself. Our guides were both brilliant and the boat manager was an excellent host. It was good to hear about what’s going on in modern Egypt as well as exploring the temples and tombs. Fantastic concept that has been perfectly executed! Superb food, great staff and a beautiful ambience make this a trip of a lifetime. It comes close to owning your own boat for a week and you feel great satisfaction as the massive cruise ships pass by forever grateful you are not on board one of them. Just returned from the tour of Egypt on the Dahabiya Dream, we had a wonderful time, it far exceeded our expectations, the boat was very comfortable, the food excellent, the staff could not have been more attentive, they were great fun, we would recommend this tour to anyone wanting to see the Real Egypt, the guide was fantastic, can’t wait to travel with you again. Thank you for looking after us so well and wish you every success for the future. Just to add to the Facebook status and our feedback form. We couldn’t have had a better holiday in Egypt! The Dream is beautiful, the crew so friendly and welcoming and the sightseeing and the guide was just brilliant. Nothing had prepared us for just how beautiful the tombs and temples would be and the guide was very informative about all the sights. His insights into the history and contemporary culture of Egypt really added to our appreciation and enjoyment of our time there. We fully intend to return in about three years time, once the new museum is open in Cairo and I have learnt to read some of the hieroglyphs! We have already pretty much planned our itinerary for both Cairo and Luxor – you will need to warn the guides that we are coming as we are full of questions and love detail! We are advertising the Dream to all our friends! Just a quite note to thank you so much for all the help you gave us in organizing our cruise on the Dahabiya Dream. it really was one of the most amazing experiences of our lives and truly was something that we will never forget. Just a note to say we had a wonderful holiday. The boat manager was attentive but not intrusive, the Egyptologist was knowledgeable but not overwhelming, the food was Egyptian and delicious – and we had fresh salads and fruits every day without any adverse effects! The crew seemed to get on very well with each other and there was a lovely relaxed atmosphere on board. One night , after a magical meal ashore, we had a great party with singing, dancing, swordplay, percussion….and all without a drop of drink, on their side anyway! We will of course recommend this trip to all our friends. This is a big big thank you from our family for arranging the amazing holiday in Egypt. The country was amazing and we got to see best of Egypt. Everything went according to plan and your contacts in Egypt were right on time!!! We did not get enough time to see the whole of Egyptian Museum. This is minor compared to the whole trip so don’t take it as a complain. 1.1/2 hrs is certainly not enough to see the museum my recommendation is at least 3 hrs. The two Egyptologists were really good. I think they make a big difference to the whole journey. Whole of my family was keen to learn about the Egypt history and we got all the information from Egyptologist. Mr Abdul (Egyptologist whom accompanied us from Luxor) was outstanding. I think people like that and makes this package more valuable than other holiday packages. If you want me to rate this package in your site or any other rating site I am happy to write something. We are now back home and have had time to reflect on our holiday. It really was excellent, thank you so much for organising it for us and for your patience throughout the process! All of the people that we met representing Explore Egypt were first class. Gouda our guide in Cairo and Mohammed our driver and Mohammed the organiser ensured that everything was dealt with smoothly and efficiently, all of our tours were brilliant and educational. We enjoyed the Pyramids, Sakarra, the Egyptian museum and the tour through old Cairo. The relaxing afternoon at the park was also great. Having left Cairo we did not believe that things could get better, but they did! The Dahabiya Dream really was a dream come true. A fantastic, luxurious boat with a wonderfully helpful crew. Abdullah the Egyptologist was a mine of useful information and great company, he certainly made the tours to the Karnak and Luxor temples, Valley of the Kings, Abu Simbal and all of the other tours most enjoyable. Mahmoud the boat manager was always there to ensure that everything ran smoothly and Mohammed from Luxor kept in touch to ensure that all went like clockwork. The food on the Dream was excellent, with plenty of it and good variety. We have enjoyed all the Egyptian Food specialities available. To cruise down the Nile and relax watching the banks go by and the birdlife was idyllic, and more than made up for the early mornings that we need to make to see the guided sites. I will be recommending Explore Travel and Cruises to anyone who will listen and hope that the political situation soon changes to enable the company to reach its full potential. Having spent 30 years travelling around the world on business trips and taking exotic holidays I can definitely say that this was the best experience of them all! I would be more than happy for you to use any of this mail in your promotional literature. We are now back to France after a marvelous trip in Egypt. I would like to express to you our complete satisfaction and to say that all was perfect. I mean boat, crew, guides , food and kindness of all the people in the boat . So a dream!! I of course, will recommend ‘explore travel and cruises’ to all our friends . So thank you for that dream during 10 days. We had the most amazing time. It was everything we hoped for and much more. I have already recommended you to work colleagues and family and will continue to do so! We have just come back from the most exotic safari trip to Africa and wanted to send you our thanks for arranging such an amazing trip. Everything was spot on from the luxury lodges, great food and the game drives were incredible and for us was our dream holiday. As you know we spent a long time planning the trip and your help and patience in this was greatly appreciated. So please pass on our thanks to everyone involved. Thank you for a wonderful trip on a wonderful boat. I was in desperate need for a holiday and this visit to Egypt was really a trip of a lifetime. The Dahabiya dream really was just that and we loved the fact that this is a family run business and we never imagined it would be so peaceful and restful. The food was excellent with lots of variety and plenty of it….trying to lose some of it now!! We loved the fact the boat has no engine and so there was no vibration as we sailed and our cabin was spotlessly clean. We will recommend you to all our family and friends. Thank you very much for arranging another superb visit to Egypt for us. We loved the new places we were able to see and especially liked Al Minya where we were made so welcome, in the hotel, on the streets, in the local restaurants and at the sites. The people we were escorted and guided by could not have been better. All were professional, enthusiastic and friendly. The arrangements were seamless and smooth, every pick up was on time and the transport was very comfortable and clean, the drivers helpful and patient. The dahabiya trip was terrific. The boat was so comfortably fitted out, in the cabin, saloon and on deck that we felt both at home and very pampered. The crew were so efficient, and so friendly that we could relax and enjoy every minute of our on board time. The chef deserves a special mention, for every meal was so pleasurable that we knew we were in for a special treat at the end of each shore visit and every evening, and we were so pleased with the special efforts made to entertain us with the moonlit temple-side gala meal and dance. Please pass our very grateful thanks to your brother and his team for the great job they did in making this part of the trip a particular highlight. We are sincerely hoping that we can take another memorable trip with you soon. 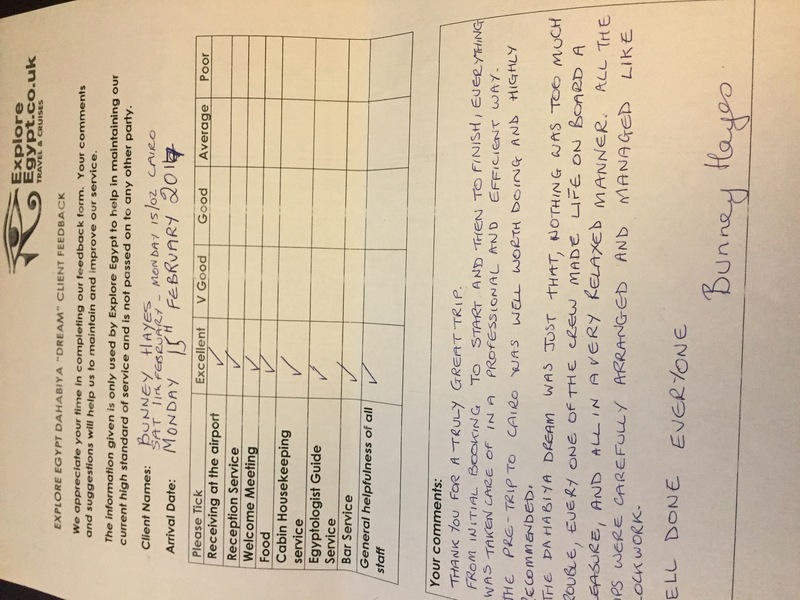 “There were four of us who went with ExploreEgypt.co.uk on this trip and from the beginning the organisation was really professional and personal. The trip was tailor made to what we wanted to see and the places we went were quite incredible. Nothing quite prepares you for the scale of what you see and the amazing artwork and structures still in place after so many thousands of years. We had our own guide, who was an Egyptologist and obviously loved showing us his amazing Country. It made all the difference having our own guide and driver and made us feel very special when we were at the sites and there were lots of other groups trying to follow a guide in a big crowd. Bets places were the Pyramids at Giza, Karnak Temple, the Nile cruise and Abu Simbel. The hotels Explore Egypt put us in were great. Thanks to all the guides, drivers and the explore Egypt team for truly a holiday of a lifetime. “Have just come back from a 10 day trip to Egypt organised by Explore Egypt. It was amazing, the trip was well organised and everyone was polite and helpful. The guides were really knowledgeable and made everything not only interesting but great fun. The sites of Egypt are incredible to see and with the lovely weather makes it an ideal holiday place. We were offered extra tours and we went to see the Sound and Light show and did the balloon ride in Luxor- wow what an experience and were so glad we were offered the chance to do it. Brilliant company to go on holiday with and we will definitely be using them again. I just wanted to send you a big “thank you” for arranging an excellent holiday. It really went well, and the weather was very kind to us. The variety included meant that we all feel as if we’ve been away for a lot more than two weeks. Thanks too for the pleasure of your company in Luxor, and for the wonderful baklava, which we enjoyed with our afternoon tea for several days! On the basis of this, I think we’re very likely to come back to you in the future, when we want to plan another trip. I’ll give you more detailed feedback on specific aspects when we’ve all had time to reflect. In the meantime, I hope all is well with you. Please also pass our thanks on to Mohamed in Luxor – his attention was much appreciated. We just wanted to add my comments to those that Aileen has already made. We had the most fabulous time in Egypt and this was made all the more enjoyable by the attention that we received from yourselves. We hope to return someday (not soon enough for us) and would certainly hope to avail of your services again. 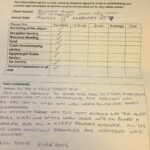 “We would like to thank you all for the excellent organisation of our holiday, the service we received from start to finish was indeed first class. The personal attention from yourselves & your other representatives in each location cannot be faulted. Accommodation was very good & the staff in the hotels & on the boat were very attentive at all times. “I always wanted to visit Egypt with my family, so finally we went to Egypt the second week of July 09, I found Explore Egypt online their website is www.exploreegypt.co.uk. My itinerary was 3nights Cairo, 4 nights Nile Cruise and Abu Simbel then 7 nights Sharm el Sheikh. Our Itinerary was tailored made to fit into what we really want from our holiday, that’s really was fantastic, I think we were very lucky to find this Tour operator, they offered us a very high quality service, good price and we got to have our itinerary the way you want it. The highlight of the trip when we saw the pyramids, it was really special, then Valley of the king, we couldn’t believe how intact are the scenes and the art, Cruising the Nile was very fascinating and watching all the history while we enjoyed the charm of the Nile, it was just beautiful. In sharm we climbed Moses Mountain, which was fun, we watched the Sun Rise and in the way down we stopped and visit St Catharine monastery. “I did lots of research online before I’ve booked my trip to Egypt. I found Mohamed’s Company www.exploreegypt.co.uk online and it was interesting what he offered me, so I’ve decided to book with him. My group was 8 people and my itinerary was 3 nights Cairo, 4 nights Nile Cruise and Abu Simbel then at the end Hurghada by the Red Sea. I had great time in Egypt and I think Mohamed was the most professional Tour Operator I’ve dealt with in that market, he was very easy to talk to and prompt in his replies. He helped us create the perfect itinerary (there was a lot I wanted to see) and he was able to give us lots of information about the trip prior to travel such as travel tips to Egypt, tipping and all the extra tours we can add to our tours. He answered all our questions and was able to provide us with what we wanted from hotels to tours. The guides that Mohamed organized were really professional and knowledgeable; I found them friendly and eager to please. The advantage in booking with Mohamed meant that my group and I just had a guide and transportation for ourselves so we could see everything we planned to see on our itinerary and they were great about fitting extra time for us to do some extra shopping and some optional tours that we really wanted to do.